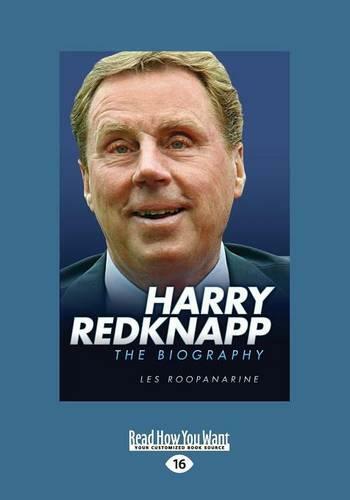 Harry Redknapp is one of the most colorful and charismatic figures in English football. From West Ham to Bournemouth, Portsmouth to Tottenham, legions of fans regard him as one of the game's true legends. As a teenager at West Ham, Redknapp enjoyed a first class football education surrounded by the likes of Bobby Moore and Geoff Hurst before John Bond lured him to Bournemouth in 1972. Later he crossed swords with iconic players such as Pele and George Best while playing for the Seattle Sounders of the North America Soccer League. But management proved to be Redknapp's true forte. After taking Bournemouth to a famous FA cup win against Manchester United, he moved to West Ham and transformed the Hammers from relegation candidates to fifth in the Premier League and back into Europe. When he took over at struggling Portsmouth, Harry defied all odds to lead Pompey to the Premier League. After a controversial move to Southampton, he returned to Pompey and lead them to a landmark FA Cup victory. A Tottenham offer of GBP5m for his services made Harry England's most expensive manager, and his old - school style has improved the club beyond all recognition.